Twenty-five years ago this summer, the Wheel of Dhamma took a leap halfway around the globe and came to earth in western Massachusetts. 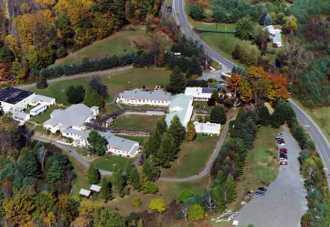 In August 1982, a site was purchased for a Vipassana meditation center near Shelburne Falls, a small town in the foothills of the Berkshires. 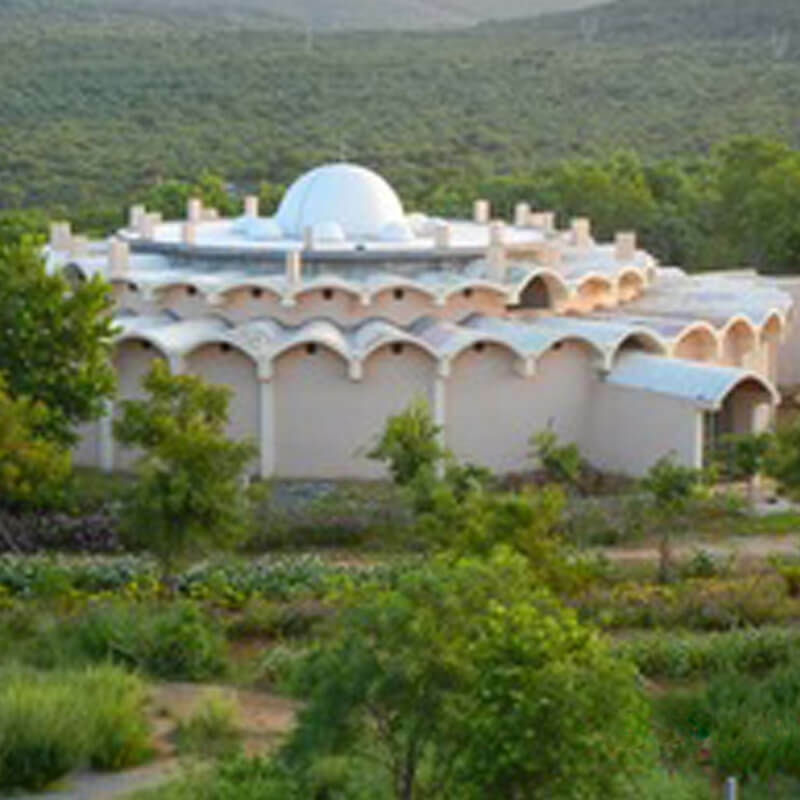 This was the first Vipassana center operating under the guidance of S.N. Goenka to be established outside India, and the first in the Western Hemisphere. The groundwork for the purchase had been laid over years. Some of Goenkaji’s first Western students were from the northeastern United States or the Canadian provinces to the north. In 1979 Montreal hosted Goenkaji’s first course in North America. He returned there in 1980 and also taught in Chicago and northern California. In June 1981 he gave a course in Goshen, Massachusetts. After this course, Goenkaji formed a trust with the goal of establishing a permanent center for the practice of Vipassana meditation. We were living in a small apartment in Brookline, Massachusetts. At the end of the Goshen course we invited Goenkaji and 15 to 20 people who were active at that time. We had a meal and then afterwards Goenkaji sat on an old secondhand couch. When he sat on it, he sank way down and joked about the “bucket seats.” Then we all sat around him on the floor and in a very serious tone he explained to us that it was time to form a trust. And he explained the important responsibility that we all had as trust members to oversee the courses and the future center. The trust set right to work, combing different corners of Massachusetts for potential sites. They looked at dozens of possibilities and even submitted a bid on one property without success. When Goenkaji returned the following June to conduct a course at Sandwich, on Cape Cod, he urged the trust to continue with their search. But this time there was the direct help of Goenkaji and Mataji, who tirelessly visited the long list of prospective properties. Among the last that they looked at was the one eventually purchased. We had been looking all day. I had my daughter with me, who was 3 at the time. It was my family, Mataji, Goenkaji and myself in the car. We pulled up at the property we ended up buying, and my daughter was excited because the place had a swimming pool. We found out that the building had been a “temperance tavern” [a gathering place where no alcoholic drinks were served] and Goenkaji liked this. He made up his mind that unless we found something stupendous, this was the place to buy. 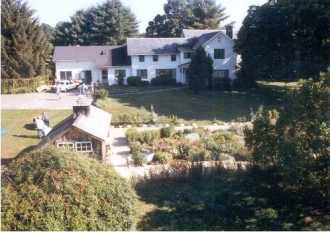 The property consisted of a rambling two-story house and eight acres of land, mostly open meadow. Aside from the swimming pool there was a large asphalt tennis court and a barn. Shortly afterwards the trust purchased the property for $105,000. Of this amount, donations covered $50,000 and a mortgage funded the rest. A new center had come into being. Within days a small group of meditators gathered at the property to explore and marvel at it. But they were also there to perform an essential task: start meditating in the new center. As Goenkaji had instructed them to do, they methodically sat in each and every room of the house, meditating for at least an hour. They also walked around the edge of the property, meditating and practicing metta. These were the first steps in establishing a meditative atmosphere that has become stronger with each sitting, course by course, year after year. Later that summer Goenkaji returned to Massachusetts and conducted an inaugural three-day course for old students at the center. Only eight meditators could sleep on site because of building code restrictions and the lack of facilities. Others slept off-site and came to meditate during the day. It was then that he named the new center Dhamma Dhara, or land of Dhamma. After that the Teacher had to leave, but the Wheel of Dhamma continued turning and courses went on. These were either self-courses or courses conducted by the first assistant teachers, appointed by Goenkaji a few months before. The initial courses were run by only a handful of meditators. Sometimes a course had only one server, who rang the bells, cooked the food, cleaned and managed. Although it could be exhausting, it was also joyful and inspiring. And so the center kept functioning through the winter; the seed that had been planted kept germinating. While this was happening, the trust started planning for a large course to be conducted by Goenkaji in the summer of 1983. But the house could accommodate only a handful, and the demand would be very great. How could the facilities be expanded rapidly? Several projects rapidly took shape: First, they rented a large tent to cover the old tennis court; this would seat 200. Next, they built a shower and toilet block near the existing house. Third, they replaced the swimming pool with a large water reservoir. Fourth, they converted the two-car garage into a kitchen able to handle large numbers. 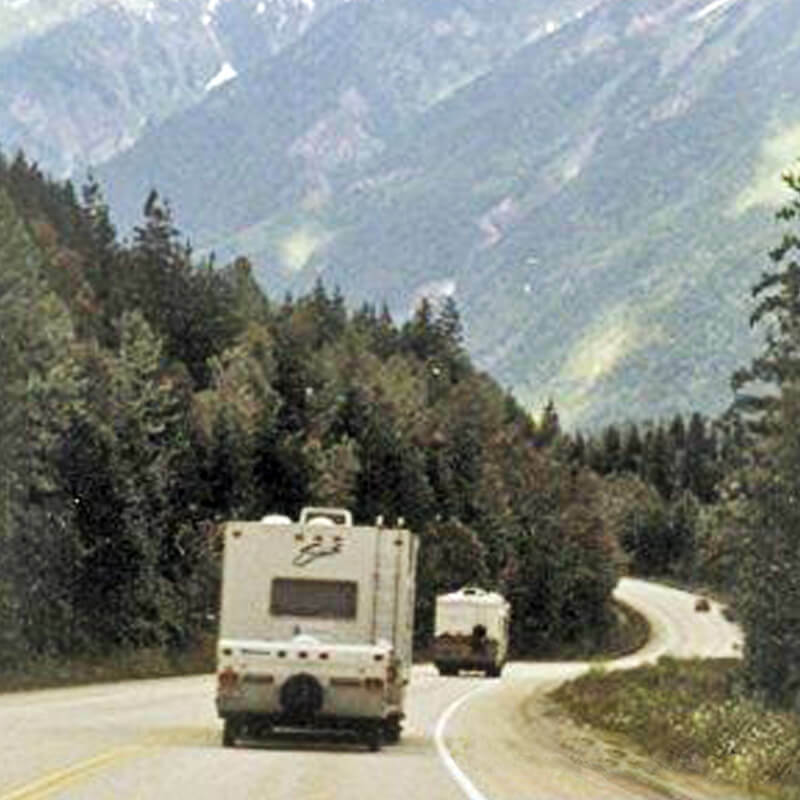 And last but not least, they had to apply for permission to operate as a summer campground accommodating up to 200. Before Goenkaji came back for his first 10- day course at the center in 1983, the only way the authorities would allow us to hold a large course was to build a bathhouse and get a campground permit. We only had a few months to accomplish this and there were many delays and problems even getting started on this large project. The time kept drawing closer and closer and every so often we would get a letter from Goenkaji, inquiring about our progress. At one point, referring to unfortunate delays at another new center, he said, “I trust this will not happen at VMC.” We quickly started building! Then we had trouble getting our campground permit. We kept failing our water test because of construction debris in the new concrete tank. Goenkaji arrived the day before the course began and still we had no permit. On the day the course was to start, the students were arriving and we were all standing out on the hillside with Goenkaji and inspectors, when the Health Department representative arrived and asked for the $10 fee for the license only hours before the course was to begin! For that large course in 1983, we started with a two-car garage and added a triple sink and a stove that had come out of a chicken coop for $50. We had 15 to 20 people in that kitchen and it was such a great time! Every bay of that triple sink had one person at it so it was quite the assembly line. With Goenkaji coming back and this being the first big course in America at the first center—it was so much work, but it was such a joy. This was a magnet from the very beginning for many people to come here. This was only the first of many projects that the center successfully took on over the years. 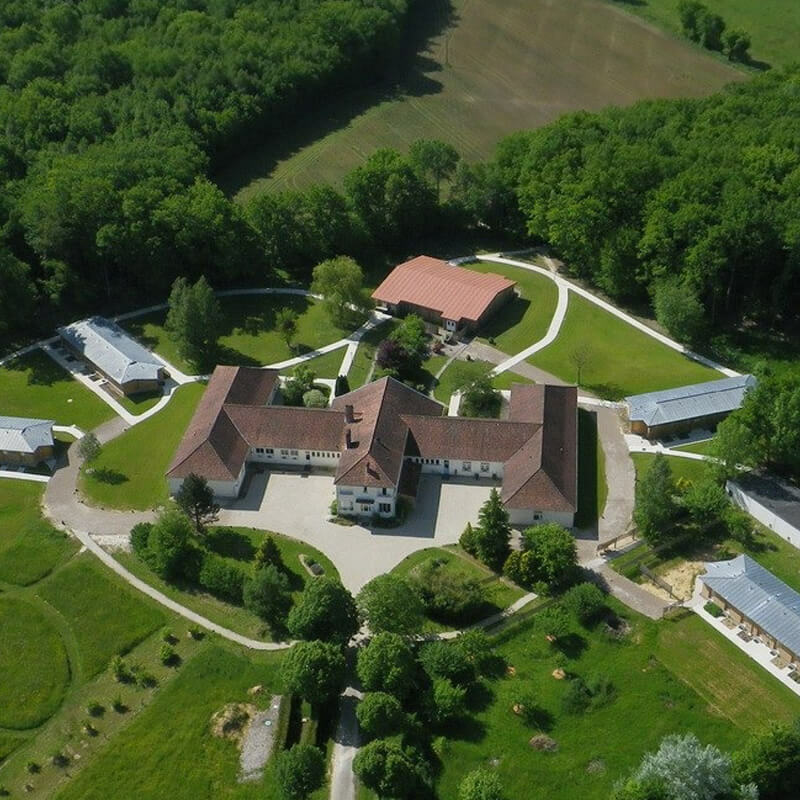 Many more years of work followed to create the facilities for an ideal meditation center. The tent covering the tennis court worked well—but not necessarily in the rain that could fall at any time in New England. To replace it, meditators built an uninsulated screened pavilion for use in summer. Later two dining halls were built near the house, but at first one was kept for a meditation hall in winter. Later still the summer pavilion was fully winterized. It is now the permanent meditation hall. Work on the cell complex began in the early 1990s, with much of the construction done by student volunteers. Goenkaji commented that it was such a good place in which to sit, primarily because it was built by Dhamma servers who worked selflessly. The first 30-day course took place on the site in winter 1992. 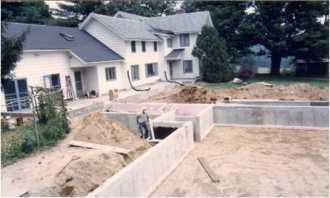 More recently, a very large project was the construction of new residences for men and women. These offer private sleeping rooms with attached bathrooms. 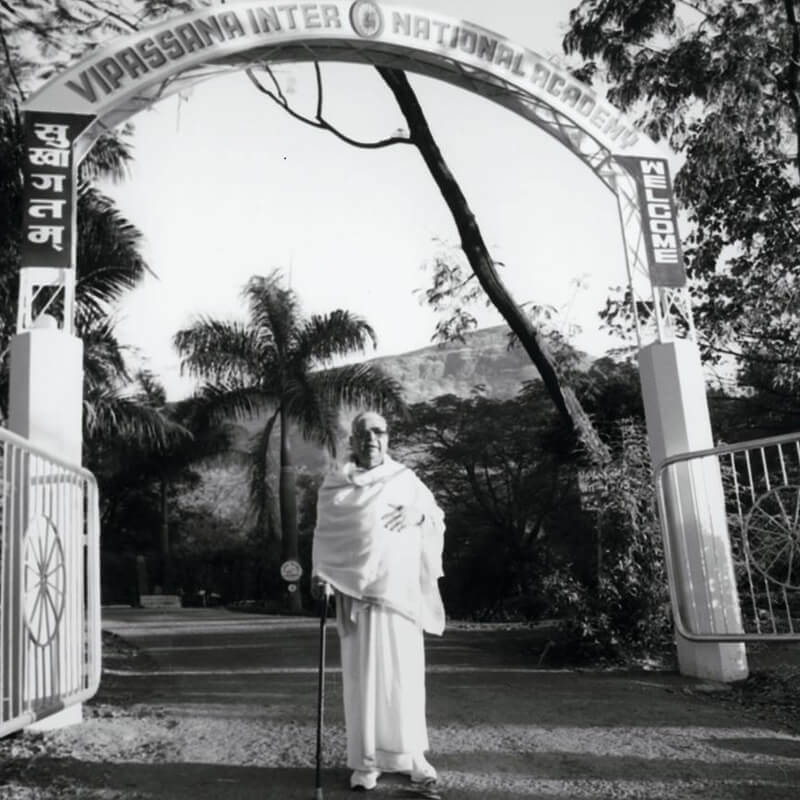 In 1989, a group of meditators donated an adjoining 70 acres of land. Some years later an additional 30 acres were purchased. Today the center consists of 108 acres and an entire complex of new buildings. All this work has created an extraordinary facility. Along with that the work of meditation has continued non-stop, and the atmosphere has kept developing. I sat the first 30-day course in Massachusetts in 1991. It was the middle of winter, and aside from all their other tasks the Dhamma workers had to shovel snow from the paths after snowstorms. The men all slept together in one dorm, with only partitions between the beds. But we each had a brand-new cell for meditation, and the quiet was complete. In the dark with eyes closed, it was exactly like sitting in India. Then I remembered I was not at Dhamma Giri. But it felt just the same. Goenkaji often remarked on how harmonious the atmosphere was at the Massachusetts center. Of course there were plenty of problems and disagreements especially in the early years. But one of the great successes of Massachusetts was that the students used their Vipassana practice to resolve the problems and work efficiently. They developed a model that has been widely adopted by other trusts. When this center came up in America, many of Goenkaji’s early students of moved here. The place attracted people very quickly. This has been its strength ever since. A community developed from the first day. Now so many of the people who took part in the establishment of the center have helped get other centers established. Currently the center is able to accommodate 50 women and 44 men, for a total of 94 participants year-round. During the summer months, total capacity increases to 146 students with the use of tents and cabins. Approximately 19 courses of 10 days are scheduled at the center each year, with nearly every course being full. Approximately 1,725 students from around the world complete courses atDhamma Dhara annually. It is not unusual to have multiple languages on each course and the center offers the discourses in Hindi, Mandarin, Khmer, Spanish, Russian, Farsi and more. The center also offers courses for children and teenagers, as well as long courses of 20, 30 or 45 days. The time has come at Dhamma Dhara to put in place one of the key components of a Vipassana center: a traditional pagoda-style roof for our complex of meditation cells. When the building that houses the cells took shape in 1991, it was given a flat roof. 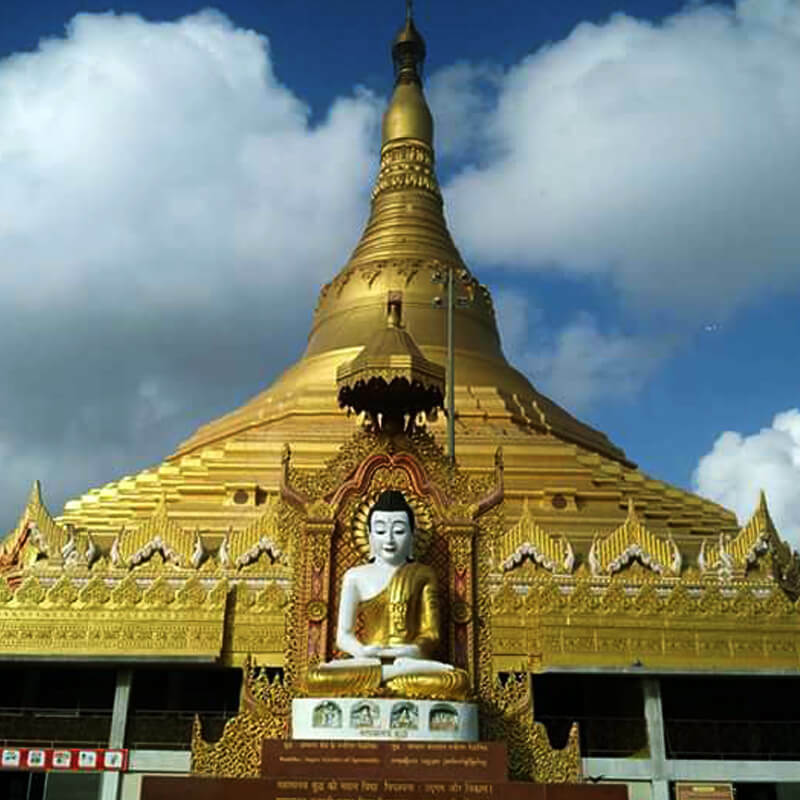 But the plan was always to replace this with some type of dome, and everyone preferred a traditional Burmese pagoda – like that constructed at Dhammagiri in India or at the center of Sayagyi U Ba Khin in Myanmar. 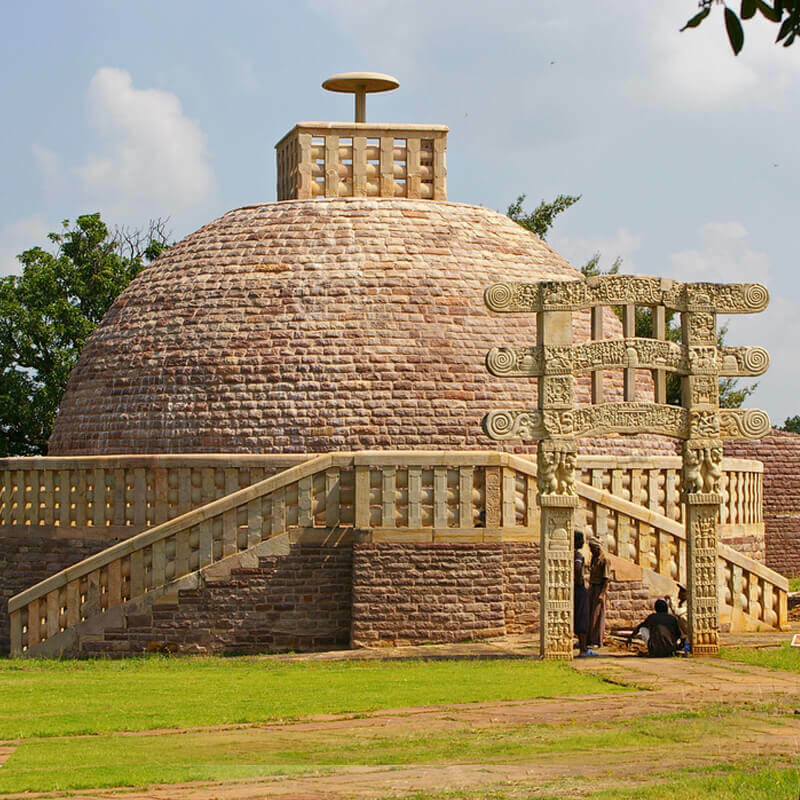 This would be a way of paying tribute to the country that had preserved Vipassana through the ages, enabling us to learn and practice the technique today. The model for both those pagodas, and for countless others that dot the landscape of Myanmar, is Shwedagon. This breathtaking structure dominates the skyline of Yangon and draws a steady stream of pilgrims, who come to honour the Buddha, Dhamma and Sangha. From miles away – and reportedly even from space – its silhouette beckons, a reminder of what is really important in life. Each part of the Shwedagon design has meaning – from the dome representing the begging bowl of one who has adopted the spiritual life, to the diamond at the top representing the goal of that life, enlightenment. The pagoda thus is visible expression of our aspiration to higher things. And in rising through narrower stages to a peak of perfection, it suggests how we can work toward our aspirations through the practice of mental purification. 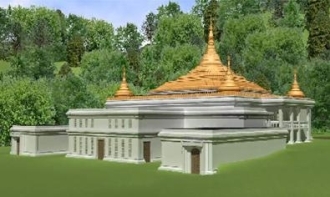 The Dhamma Dhara pagoda will record our link with India and Myanmar, and our deep gratitude to them for the Dhamma. It will also represent our link with Goenkaji and the lineage of past teachers and saints, going back to the Buddha. This will be an inspiration to us whenever we come to Dhamma Dhara. It will remind us that when we sit to meditate here, we are sitting at Dhammagiri or at Sayagyi’s center. We are sitting in front of our teacher and all the past teachers. We are sitting in front of the Buddha. That inspiration has a very practical effect on a meditator. As Goenkaji explains, it generates a feeling of transcending joy, which in turn gives rise to tranquility. Tranquility helps the meditator achieve strong concentration. And with a concentrated mind the meditator can practice Vipassana more deeply, going further along the path to liberation. The pagoda thus is a functional tool, an essential part of the working fabric of a Vipassana center. Just as there is a function for a kitchen and private residences, for offices and servers’ accommodation, there is a crucial role for a cell complex with a pagoda-style roof. It provides the ideal environment in which we and coming generations can work toward the goal of liberation from all misery, for our good and the good of all. From its modest beginnings, Dhamma Dhara has grown and become a beacon for the spread of Dhamma in North America and throughout the Western world. The center has hosted several seminars over the years, including conferences on mental health, psychotherapy, and addictions treatment, Vipassana in prisons, and Vipassana and science. It has attracted people from around the world, and meditators who received their training in Massachusetts have gone back to their homes and used their experience to develop Dhamma activities in their area. The wheel set in motion in 1981 has kept turning steadily and will continue to do so, bringing real peace and happiness to many.